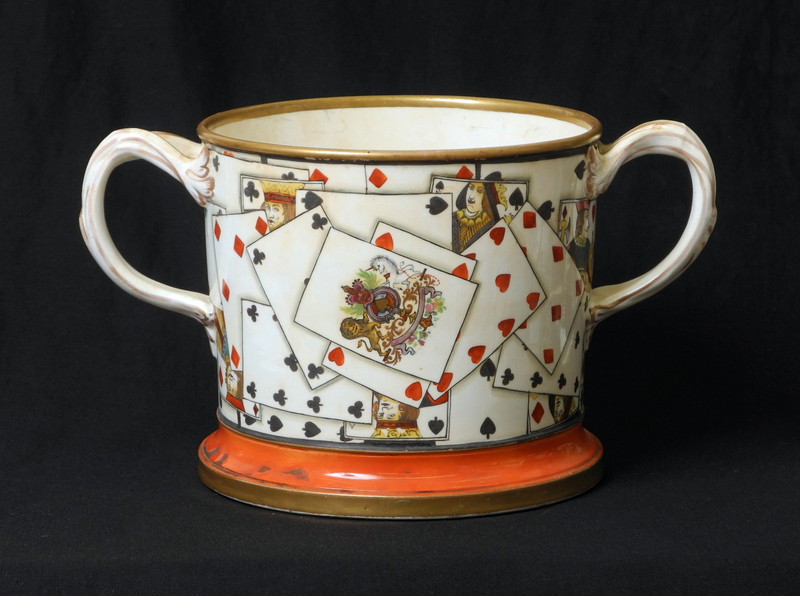 An exceptionally rare and probably unique Staffordshire loving cup. 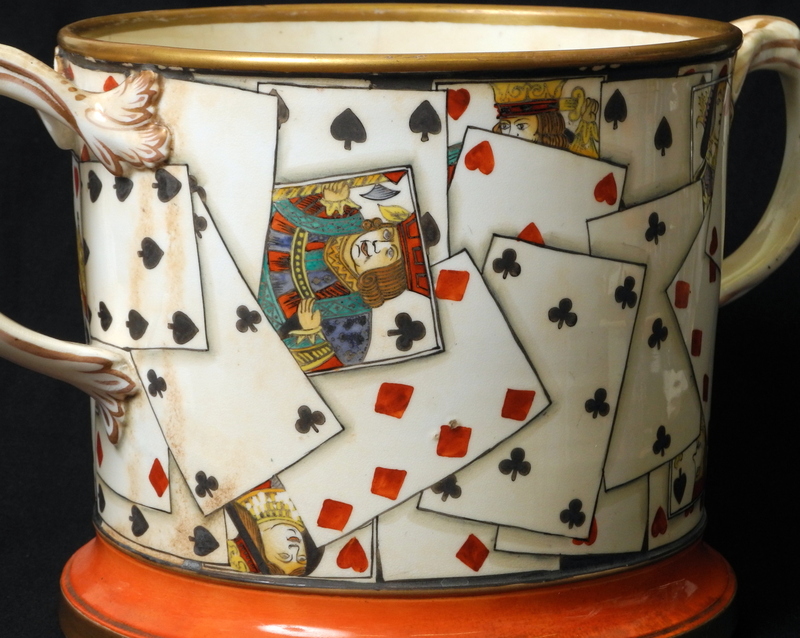 Painted to the exterior entirely with playing cards and to the interior with a frog sitting on bullrush fronds. A majestic and extremely rare object.